Jennifer joined the Beaucare Board in 2014 and has been President and Chair for 4 years. Jennifer's passion for the organisation and the community along with her commitment and drive, has seen the development of a skilled based board and a new strategy for the future. Beaucare continues to provide excellent quality services to the region and the community and now owns the community centre at 44 Tina Street Beaudesert. Her background is in management and financial control of small business. Jennifer has a degree in Australian Studies, a post graduate qualification in town planning and Diplomas in Local Government (Planning) and Project Management. Jennifer is a graduate of the Australian Institute of Company Directors (GAICD) and a Justice of the Peace (Qual). Jennifer is a Director of LGIAsuper (1 July 2018) and has been appointed to the ARTC (inland rail) Community consultative committee for 2 years from December 2017. She was chosen due to her local community connections, relationships and communication channels as well as her knowledge of disciplines related to infrastructure, water use and land management. 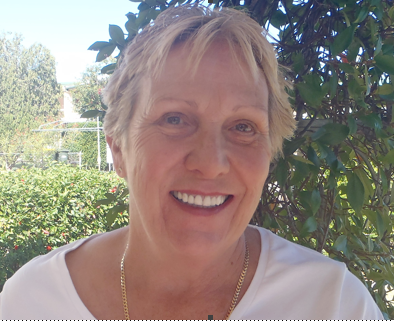 Caroline has been an active member of the Beaudesert Community for over 20 years having moved here from Brisbane in 1993. Caroline is an Occupational Therapist who specialises in Paediatrics, particularly working with children with developmental and learning difficulties. Caroline has been actively involved with many community groups and is interested in governance, marketing and encouraging early intervention programmes to improve health outcomes in the local community. Caroline's 3 children have all attended Family Day Care prior to commencing local schooling. Caroline is delighted to be a Beaucare Board Member. Dan has lived in Jimboomba since 2012 with his wife Bernadette and family. He is the Chairman of SEQWater and a Director of the Australian Water Recycling Centre of Excellence Ltd. He has a Bachelor of Business (Accounting) from QUT. Dan has wealth of experience in public administration, change management and stakeholder management. He had a 38-year career with the Queensland Government, finishing fulltime work in July 2015. Between 2006 2015 he was Director-General of three Government Departments the Department of Mines and Energy, the Department of Natural Resources and Mines and the Department of Energy and Water Supply. Prior to that he worked for many years in senior leadership positions in Queensland Transport. Dan is a Graduate of the Australian Institute of Company Directors. Nicole has worked in senior roles with leading resources companies Rio Tinto and BHP for more than ten years and brings to the Beaucare Board proven experience in issues management, public affairs, communications, community engagement, media engagement and investor relations. 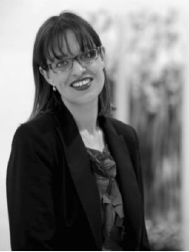 Nicole is a Graduate and Member of the Australian Institute of Company Directors and holds a Bachelor of Arts in Journalism and Politics, a Diploma of Investor Relations and a Graduate Certificate in Aboriginal Relations. Nicole provides strategic stakeholder engagement, Government relations and communications advice through her own company, Nicole Ireland Communications and has worked with QCoal Group, boutique consultancy the SAS Group and its clients ConocoPhillips Australia, Shenhua Watermark and Services Trades Queensland. Nicole has served as a Committee member and Chair (State President) of Sands Queensland, is a member of the Lourdes Hill College and Sands Australia Boards and has held roles on two Community Development Funds in regional Queensland for a number of years. 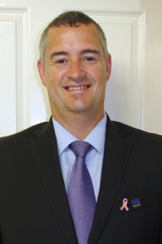 David commenced his management career in 1993, working with a consulting firm in Brisbane, Gold Coast and Canberra. David moved to Dubai (UAE) in 1995, where he worked for four years jointly at the Higher Colleges of Technology and HR Director with The Sultan Group (civil and commercial construction). Upon returning to Australia in 1999, David worked at the Australian International Hotel School in Canberra, and then the Department of Finance and Administration. This was followed by HR management role for Shell (Logistics), before moving on to the role of Global HR Manager - Emirates Airlines. Positions as HR and Corporate Services Manager with Anglicare and HR Project Manager with the Department of Prime Minister followed. He was HR Director and COO for STA Consulting Engineers, before moving on to Sun Engineering as HR Manager, HR Manager for Affinity Education Group, Corporate Services Manager with Master Plumbers' Association of Queensland and is currently Human Resources Manager with the Royal Flying Doctor Service Queensland. David prides himself on being a strategic partner to business units in all facets of organisations. He sees his role as the "remover of road blocks" and a champion of change and organisational development. His ability to plan, lead and follow through on critical change projects, and deliver organisational capability development, is his forte. Driving cultural change and leading the change agenda is where David's passion lies. Being innovative and adaptable, David also possesses a strong track record in leading both operational and strategic management. The ability to communicate with influence and build collaborative relationships with internal and external stakeholders has been key in all of David's roles to date. Lynne is a highly experienced professional in International Education Recruitment and Marketing who has developed and managed a strong and successful enterprise in the private tertiary pathway sector and has a strong track record of consistently achieving targets, meeting deadlines, satisfying clients and a reputation for getting things done. Lynne brings to boards her energy, integrity and long experience in the international education sector, corporate governance, strong cross-cultural awareness and international networks from her 20+ years in the sector. Lynne's passions lie in the education and empowerment of women and youth. She was coordinator and developer of the Chrysalis Young Leaders Conference, a youth leadership program from 2010 2015, and has become involved in community festivals in the small town of Tamborine Mountain where she has recently moved. 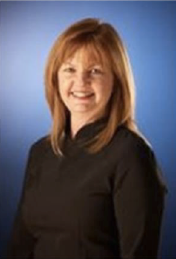 Lynne is involved in other NFP enterprises including the Duke of Edinburgh International Award and is a mentor in Austrade's WIGB (Women in Global Business) program. Jim has many years high level international business experience in trading, building relationships and assisting companies grow. As a former Asia Pacific Senior Manager in freight and logistics had him travelling extensively to many countries, many times throughout the last few years adding value to many companies and developing people's careers. This time away and contributing to many other countries and regions prosperity has since encouraged him to devote more to his region. Having lived in the Scenic Rim for 10 years with his boys attending local schools and partaking in community events reminded him to support more of his community. Beaucare represents a significant local contributor for young and old which with his empathy, mentoring, awareness and business knowledge will provide a contribution from a different perspective. Pamela Ryan has lived in Beaudesert since 1976. She is married with 3 adult children who were born in Beaudesert and educated at Beaudesert Community Kindergarten, Beaudesert State Preschool, St Mary's School and Beaudesert State High School. Her 2 daughters reside in Beaudesert and teach at Beaudesert State School and her son lives on the Gold Coast. She has 5 grandchildren, 2 attending Beaudesert State School and 1 attending Beaudesert Community Kindergarten. Two grandchildren go to school at the coast. She was employed as a teacher from 1974 to 2012 by Education Queensland and the Catholic Education Office. In 2012 she retired from fulltime teaching as a Band 6 Principal with Education Qld. 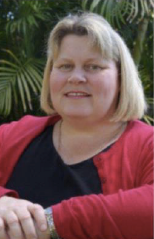 During her teaching career, Pamela has been involved in many professional bodies and is a Life Member of the Queensland Teachers' Union. She presently does Casual Supply Teaching employment at schools in the Scenic Rim Area. Her Tertiary Qualifications include a Diploma of Teaching, Townsville Teachers' College, 1971 to 1973. Her previous Community Involvement includes being a Civil Marriage Celebrant for the Beaudesert area from 1984 to 2000, a founding committee member of Beaudesert Community Kindergarten, a Meals on Wheels driver, Secretary of Beaudesert Pony Club and is currently a Beaudesert RSL member. 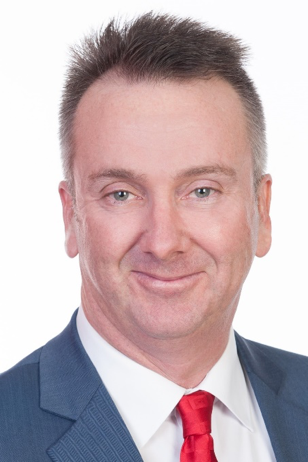 Scott Dorries joined the Board of Beaucare in 2017 and is currently the Chief Financial Officer for Invest Logan Pty Ltd and derives immense satisfaction out of creating economic, social and community support benefits and making a real difference for the Logan, Scenic Rim and Gold Coast Councils and Communities. A Fellow CPA , Fellow GIA, and Graduate of the Australian Institute of Company Directors, He is an experienced financial executive in the NFP, Public (State and Local Government), and Private Sectors with a strong focus in strategic planning, commercial management, corporate governance, mergers, demergers, acquisitions, new entity formations, risk and HR management. Scott has extensive customer and community service knowledge and leadership experience to produce innovative insights and make sustainable, strategic, collective, ethical, and individual decisions. In the NFP Sector, Scott has senior and executive experience in Early Childhood Education, Community Housing, and Membership Service organisations. 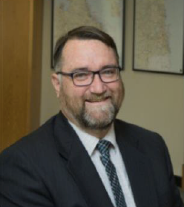 He is a qualified Accountant who has a Bachelor of Business (Accounting and Business Law & Taxation) from QUT, and is also a Treasurer for the Robertson Scout Group. Scott is a volunteer Lifesaver, Patrol Captain and Former Nipper Age Manager at Tallebudgera, who has kept the community safe at our beaches and provided junior members enriched lives through skill development and teamwork in challenging enjoyable environments and created great Australians and built better communities. Talk to us about how support services will be delivered.